Most of you would have heard of Milse. The amazing dessert bar and patisserie that opened up in Britomart a few years ago. Serving gelato on sticks, gateaux, chocolates, sweet tarts, plus their stand out macarons, Milse has become a bit of a phenomenon. 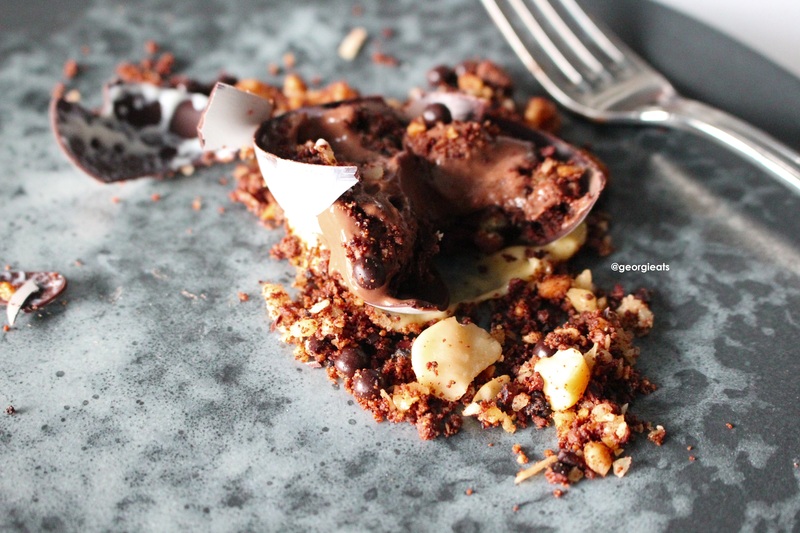 Because really, who doesn’t love chocolate and dessert?!?! The mastermind behind creating all of Milse’s desserts is pâtissier, Brian Campbell. He has 15 years’ experience working in Michelin star restaurants in the United Kingdom and at award winning restaurants here in New Zealand, at the likes of Kermadec and The French Cafe. Most recently, Brian has left Milse and has started up his own company, namely Sweet Cuisine’ A Dessert Pop Up. So far, he and his partner, Roselle Campbell have hosted a dessert night at Fred’s Espresso in Ponsonby where they teamed up with Giapo to create ice cream sandwiches, sundaes and drinks and they also had a dessert pop up at Merediths last week. 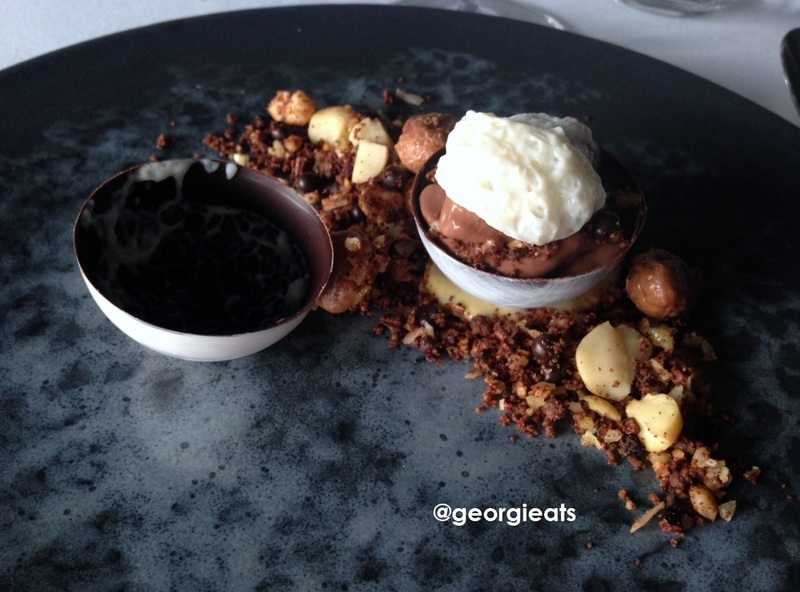 And, a few nights’ ago, I attended their second dessert pop up (however this one was special because all the desserts were made using Valrhona chocolate – the best quality chocolate in my opinion, you can buy it here) AND it was held at Sidart in Ponsonby. I have always wanted to dine at Sidart however it is quite expensive – will definitely need to save up one day! Brian and his team used the kitchens at Sidart and for about 20 minutes, my friend and I had the whole restaurant to ourselves, which was a pretty great feeling! 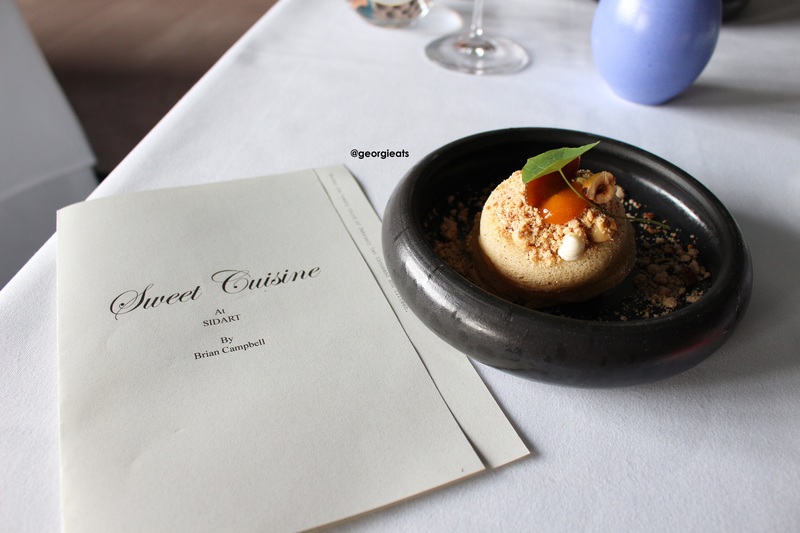 The dessert pop up at Sidart involved a 3 course degustation – $45 per person, and an optional 4th course for $9, however sadly we were too full for the 4th course! All the dishes were beautifully presented and almost too pretty to eat! To accompany the desserts, they were also serving sweet Italian dessert wine, sparkling water, teas and coffee. My friend and I decided on a glass of the ‘Prunotto Moscato d’Asti 2013’. With aromas of peach and honey, this was the perfect drink for our dessert night. The first dessert was a white chocolate panacotta, made of Ivoire 32% Valrhona chocolate. Surrounding the panacotta were bite-sized raspberries, blueberries and peaches, all topped off with freeze dried raspberries and fresh basil. It was a refreshing way to start the meal and the basil brought out all the flavours. I never thought to use herbs in baking, but I will definitely try it out now! The second course was a sponge like pudding with stewed apricots, hazelnut praline and a sauce inside using Dulcey 35% Valrhona chocolate. While the apricots were delicious, my friend and I could hardly taste the Valrhona chocolate – we felt like the apricots were too overpowering. This could possibly be due to the fact that the chocolate is only 35% – it might have a very subtle flavour. Last but not least, a to.die.for chocolate sphere, made entirely of Guanaja 70% Valrhona chocolate. Dark chocolate being one our favourite foods, my friend and I were amazed by this wonderful creation. 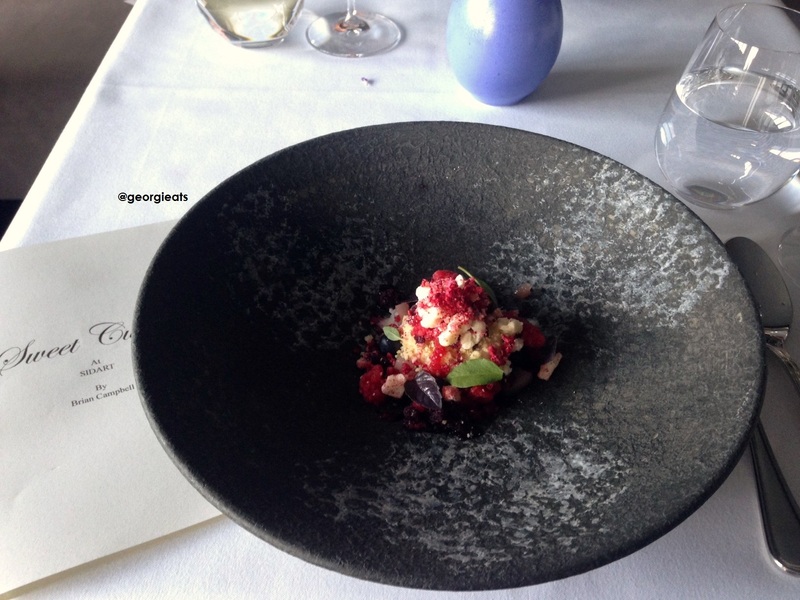 Roselle explained the dish in great detail – two mousses, one with hints of tonka beans (vanilla bean substitute), and the other being rich and chocolatey. 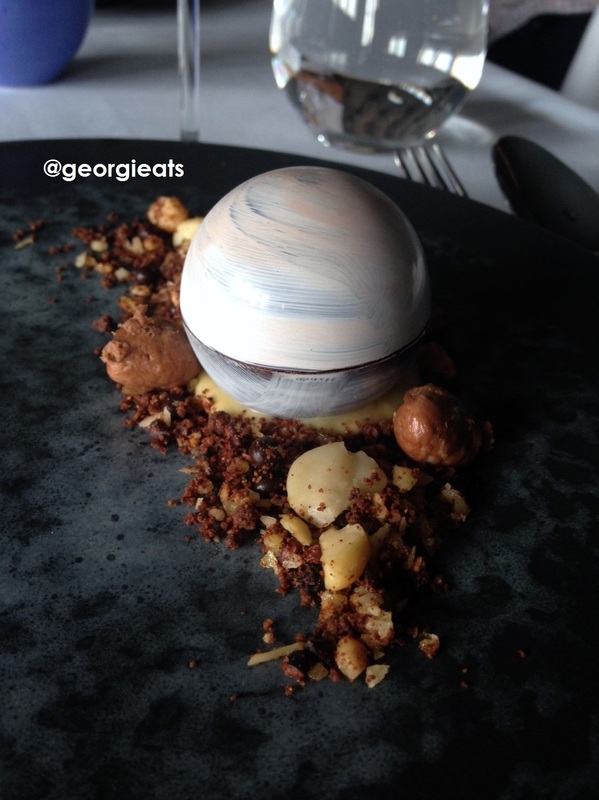 There was also a chocolate ‘soil’ surrounding the sphere, consisting of macadamia nuts, nougat and cacao nibs. But Roselle left out one surprise… Yes, popping candy! We were not expecting that at all, and it was truly the most exciting dish I have ever tasted. Every mouthful was full of joy and my friend and I couldn’t stop smiling! It was a great night overall, with brilliant and creative desserts, a lovely host and a stunning venue. I cannot wait to see what is next in store for Sweet Cuisine!